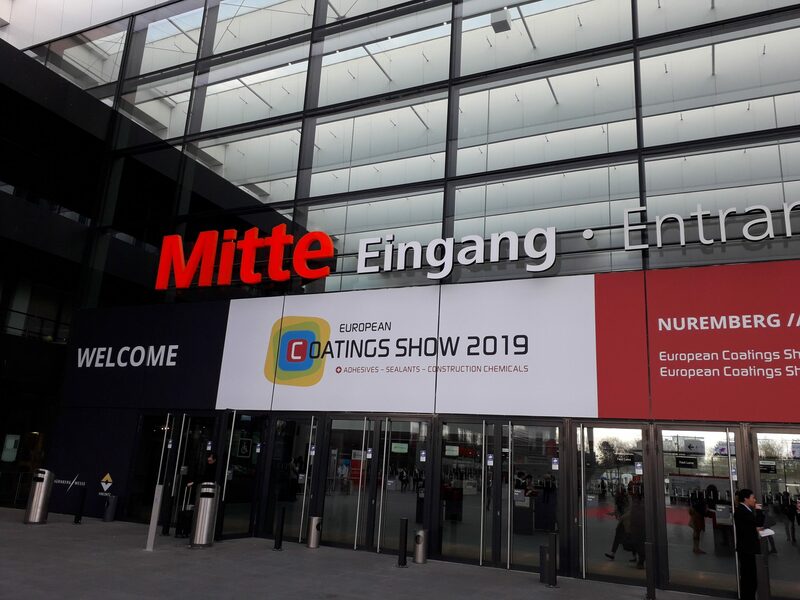 Operations Director – Michael Cordell and Technical Manager- Daniel Ruxton recently returned from attending the European Coatings Show and Conference held during March, in Nuremburg, Germany. 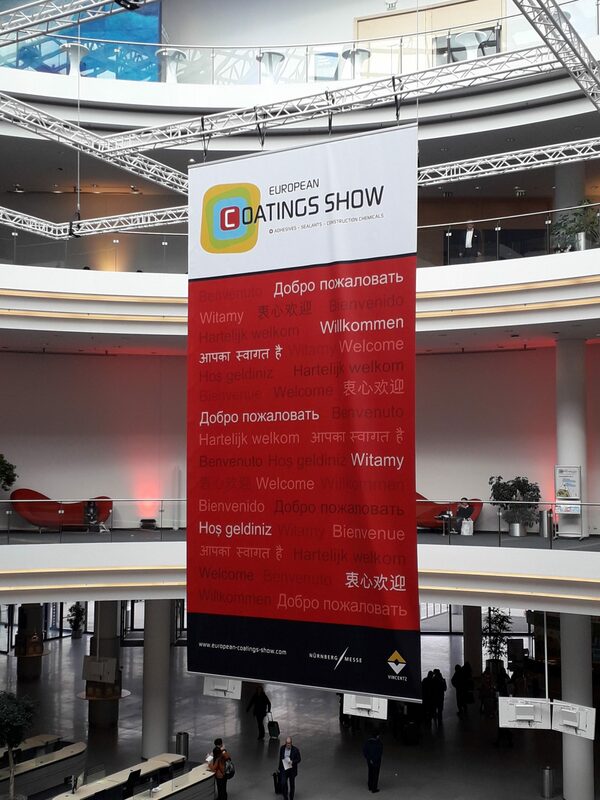 Every two years, the formulators of paint, coatings, adhesives and sealants, producers of additives, construction chemical products, industrial processors and representatives from science and research discuss the latest developments in the coatings industry. 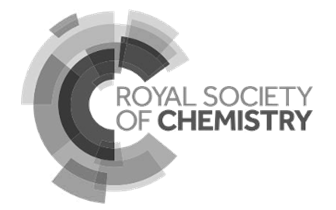 In total, more than 1000 companies exhibited, across 8 exhibition halls to many thousands of delegates. 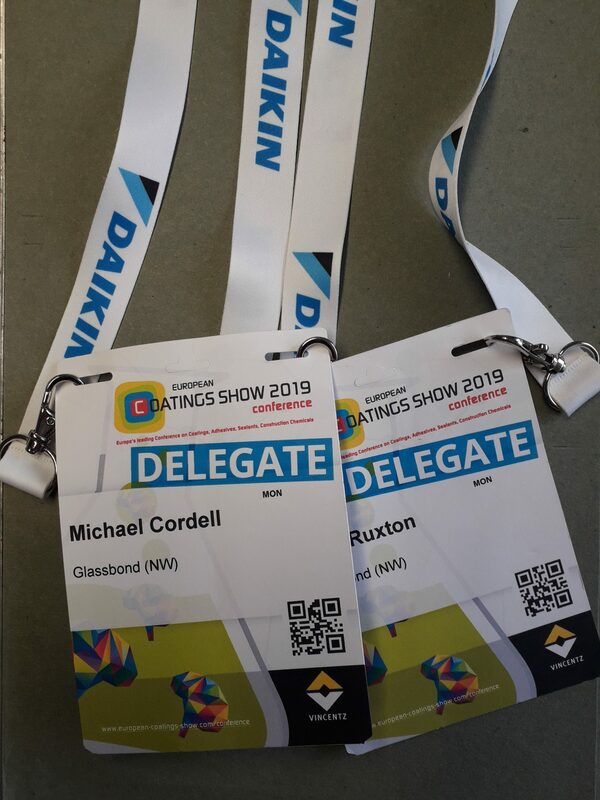 The show provided an opportunity for Daniel and Michael to meet with suppliers, learn about new products released to the market and explore the latest developments within the industry. In addition to meeting suppliers on their trade stands, Daniel and Michael also attended a number of product presentations in the exhibition hall and a series of conference sessions which took place prior to the trade show opening for general admission.